Lina has been using Conscious Discipline as a professional in the field of education for more than ten years. Her experience working with children and families in the area of special education and regular education has equipped her with a clear understanding of the unique needs of both populations and the usefulness of the program. 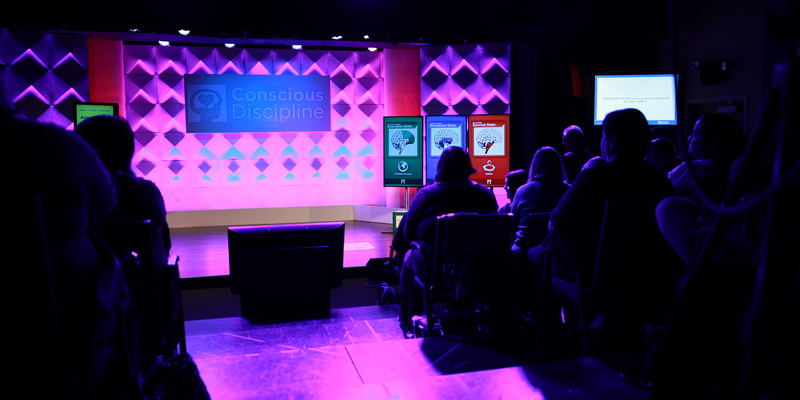 Conscious Discipline® has been an essential component throughout Lina’s career. She was initially introduced to the program while working in the area of early childhood special education in Miami, Florida. After she moved back to her country of origin, Colombia, she then continued applying the principles of this program while working as a regular education teacher in a first-grade classroom for seven years. During this time, Lina also shared Conscious Discipline® with families and other professionals in the field of education such as special education teachers, psychologists, therapists, and principals. Lina has attended several trainings with Dr. Becky Bailey throughout these years which have strengthened her knowledge and enabled her to become a Conscious Discipline® Certified Instructor. As an instructor, Lina has begun living her dream of bringing the program to Colombia. With her business, Brain2Heart, she has implemented the program in a preschool in Bogotá, Taller de Desarrollo Infantil Vueltacanela, and continues to provide ongoing training to the preschool staff and parents. She also continues sharing her knowledge about the program with her team of Inclusion Teachers and families of students who have special needs working as the Learning Support Coordinator at Colegio Nueva Granada. On November 2015, Lina was invited by Dr. Bailey to attend a Training of Trainers offered to a group of certified instructors. In this training, Lina was able to share her process of translation and adaptation of Conscious Discipline tools to Spanish. She also had the opportunity to be a presenter in NAEYC (National Association for the Education of Young Children) Annual Conference with her presentation titled “Construyendo Cerebros Saludables en Colombia” (“Building Healthy Brains in Colombia”) in Orlando, Florida. As a Conscious Discipline® Certified Instructor, Lina offers a unique perspective on the use of the program in different populations. Additionally, her personal experience as a mother of Genoveva (4 years old) and Federico (4 months old), enables her to apply the principles of the program on a daily basis, making her a wonderful resource for supporting parents in their parenting journey. Lina has been in the field of education for 17 years. She has worked as an early childhood special educator, regular education 1st grade teacher and Inclusion Support Coordinator (K-12th). Lina specializes in early childhood education, special needs, school-wide implementation, group trainings, coaching and parenting. Lina is a Conscious Discipline Certified Instructor. Lina earned a B.A Major in Psychology with a Minor in Education and a M.S Early Childhood Special Education. Lina gave me practical tools to reach a child with significant communication challenges. For him, the "Story Hand," was the most helpful. By offering a hand massage with "cranky cream" accompanied with a personalized experience or concern, he suddenly had new tools to deal with his stress and anxiety. It was a very special moment, where we were fully present and connected while managing his anger and anxiety in a peaceful and helpful way. My student left school and he went to Europe. A year after he left, we had the opportunity to meet again. It was priceless to see that, even though we didn't communicate using words because of his communication challenges, he put both of his hands on my lap and we were able connect immediately. This powerful strategy helped us re-connect after being apart for a whole year!" After seven years of having been mentored by Lina in using Conscious Discipline tools in the classroom and my personal life, I can say that allowing myself the opportunity to have “oops!” moments along the way has created in my personal journey priceless opportunities for reflection and personal insight. I can now see how I have handled the specific situation and plan how I would handle it differently next time. This enables me to forgive myself and be willing to do it a different way! Lina’s knowledge about the program and her experience in using it in her own life inspires me to continue wanting to use Conscious Discipline all around!